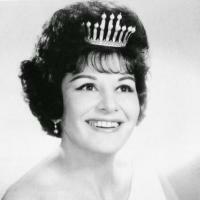 Tune in to Saturday Night At The Opera for a special feature on Metropolitan Opera legend Lucine Amara. With stunning musicality and remarkable technique, the Armenian-American soprano was a stalwart performer at the Met who sang leading roles ranging from Gluck to Britten (and everything in between) for over 40 years. Even at ninety, Ms. Amara remains active as the Artistic Director of the New Jersey Association of Verismo Opera. Ms. Amara also recently played La Duchesse de Krakenthorp in Donizetti's La Fille du Regiment. Don't miss WKCR's exclusive interview with Ms. Amara this Saturday Night At The Opera on Saturday August 1st from 9:00 PM until 1:00 AM! Stepan Atamian hosts.